USA Football Fans – Page 2 – For MLS and USMNT Fans! The USA men team will be facing Ghana in a friendly match that will help them for the preparation of the Gold Cup. The USA head coach Bruce Arena said that they are ready for the challenge posed by Ghana and that they are looking forward to the game. Bruce Arena said that Ghana is both a technical and a physical team and it would be interesting to see how his players will manage in this kind of game. The USA head coach said that the team has set winning the Gold Cup as an objective and that they will be looking forward to the match against Ghana as a preparation. The USA has yet to qualify for the World Cup, and they will also be using this game as a preparation for their remaining qualifiers. Bruce Arena said that they would be facing teams in the Gold Cup which has similar attributes as Ghana and that it might be interesting to gauge themselves against such kind of opposition. Arena said that the USA players had been put through a training program and it is important to find out how they will manage in real competition. In the last game opposing both teams, Ghana lost 2-1 at the 2014 World Cup. The Ghana coach that they are looking forward to this game as they are also preparing their future World Cup qualifying game and that it is important to play against quality opposition. He believes that Ghana has been making steady progress during recent months and this match will show have far they have come after the last game against the USA. He said that his players are ready for the game and that they are determined to make a good performance in the friendly match that is scheduled in July. Bruce Arena’s second spell in charge of the US men’s national team is not going to be an easy ride for the tactician. Not that his first spell was but this time there are unique challenges he must conquer. The coach has had his first training camp with the players but the first months of 2017 will be a real test. There are two upcoming matches that can make or break his second spell as he prepares a team that can make the 2018 World Cup despite a poor start in the qualifying campaign. The match against Honduras on March 24 is the first of the early tests. Arena is poised to visit players and continue his watch in the MLS whilst preparing strategies. For the Honduras test, Jermaine Jones and Timmy Chandler are set to miss the game. Mostly players from the domestic league are expected to feature. Tim Howard is injured, Brad Guzan might not be available meaning Real Salt Lake keeper Nick Rimando, who impressed at the winter camp, might be starting the much-anticipated match. At the backline, Newcastle United player DeAndre Yedlin would have been a partner to Chandler. There is Jorge Villafana, Graham Zusi and Walker Zimmerman – who impressed at the winter camp. It remains unknown if Stoke City Geoff Cameron can beat fitness concerns ahead of the date. At the middle, Michael Bradley would anchor. 2010 World Cup team player Benny Feilhaber – who decent against Jamaica – and Sacha Kljestan, with decent qualifying experience, are likely starters in the middle. There is the option of Alejandro Bedoya, Dax McCarty, Darlington Nagbe, Christian Pulisic, Julain Green and Perry Kitchen as well. Jozy Altidore, Bobby Wood and Jordan Morris are likely forwards but there are rumours that Clint Dempsey – who returned from a six-month absence – could be an option in the must-win match. Arena has his work clearly cut out. United States of America forward Carli Lloyd was awarded the Best FIFA Player Award in the female category. This makes the second straight time the player has won the award. The 34-year old star was voted ahead of German Olympic Gold medalist Melanie Behringer and multiple time winner from Brazil Marta. Lloyd was voted winner after compilation of results from captains and head coaches of national teams, online public ballot and a select list of reputable sport journalists. Lloyd was the obvious choice last year after her hat trick in the final against Japan at the Women’s World Cup. “I’m very honoured to win this award again. I play on the best team in the world and this award would not be possible without my extraordinary teammates, who are fantastic competitors. We push each other to be better everyday,” she said. She claimed 20.68% of votes while Behringer had 16.6%, leaving Martha with 12.34%. In the coaching category, this did not repeat itself as Jill Ellis of the United States – who won last year’s edition – placed third. Germany coach Silvia Neid won the award, with Pia Sundhage taking second place after supervising Sweden to the Olympic Silver spot in Rio. This is Nied’s second as she won the award in 2010. Leicester City manager Clauido Ranieri won the men’s coaching category after overcoming an odds of 5000-1 to lift the English Premier League in a fairy tale season last year. He has also led the side to the round of 16 of the Champions League this year. In the Male category, Cristiano Ronaldo won the Best FIFA Award as expected, ahead of Lionel Messi and Antoine Griezmann. The England national football team have been going through various changes in their managerial position with Roy Hodgson being removed from his coaching role back on June after losing in the round of 16 of the 2016 Euro’s. England lost in that competition due to their defeat against Iceland and following this surprising loss, Roy Hodgson endured a string of criticism from the media and Hodgson was eventually replayed by Sam Allardyce. 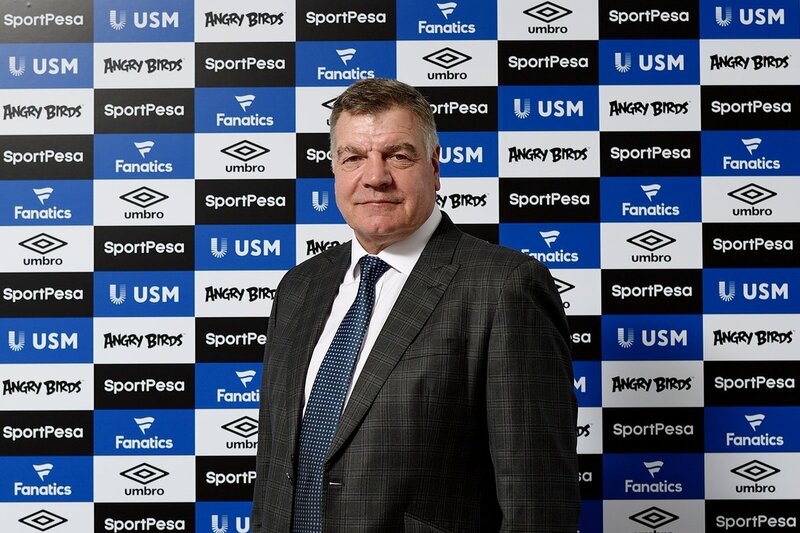 Sam Allardyce only lasted 67 days in charge of England and the main reason of why he stayed for such a short period of time was due to allegations of malpractice which forced Allardyce on having to make his way out of the England national side. Gareth Southgate is currently the caretaker of England but the English Football Association are in search of a permanent coach, probably somebody that can stay for a long period of time in charge of the English national side and maybe even win some major international trophies which is something that they have not been able to do for the past years and rumors have been linking Jurgen Klinsmann with this position. Whether or not Jurgen Klinsmann decides to accept the challenge of taking charge the English national side is something that entirely depends on himself as he is currently managing the USA national team and he has a number of things to accomplish with the American nation as he aiming to push the USA national squad to the 2018 FIFA World Cup and lost their opening qualifying match after facing off with Mexico and losing 1-2. For now, Klinsmann just wants to focus on doing the best that he can with the USA national side but he is currently being taken into consideration as a realistic candidate to take over England in the near future.